For St. Patrick’s Day it is traditional to make everything green, and that includes beverages! 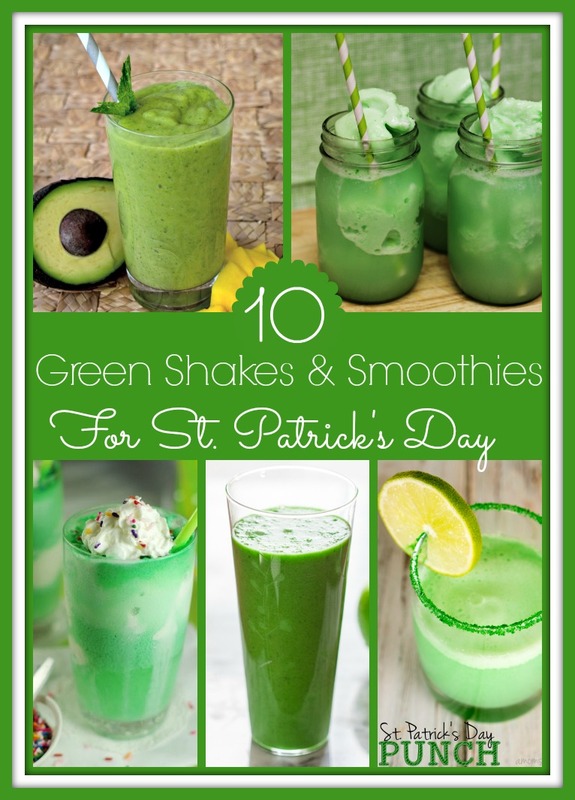 Here is a collection of 10 Green Shakes and Smoothies for the holiday. Some of the drinks are healthy, and some are more desserts. But they would all make a delicious snack for St. Patrick’s Day this year. 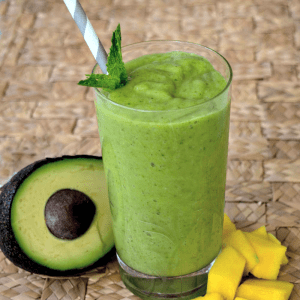 Mango Avocado Smoothie – This Smoothie is one of the healthy options! It takes its green color from avocados, and combines that with sweet mangoes. 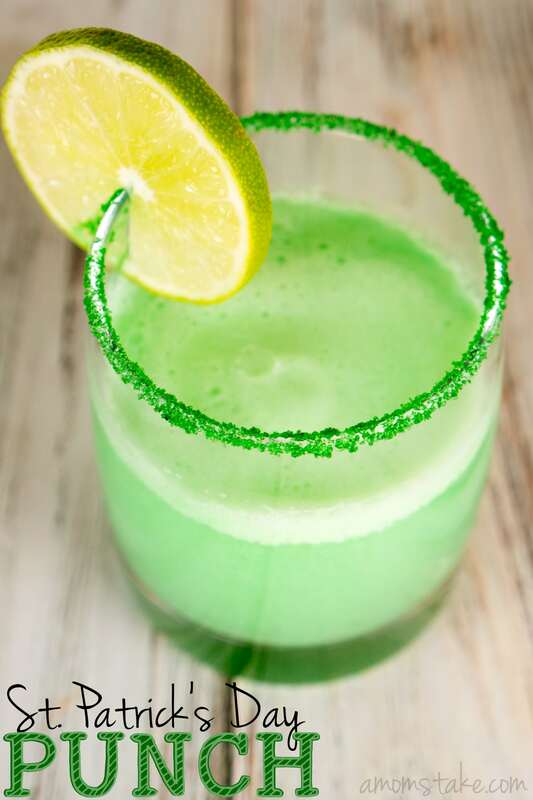 St. Patrick’s Day Punch – This delicious punch combines lime sherbert with soda for a treat that is sure to make any St. Patrick’s Day party more fun. 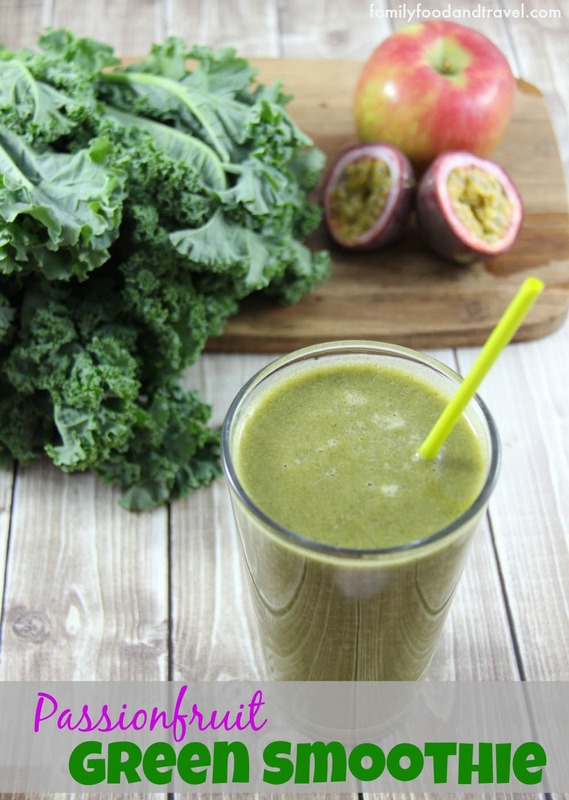 Passion Fruit Green Smoothie – This smoothie uses kale and celery to get the green color, and then adds passion fruit and strawberries for a sweet drink. 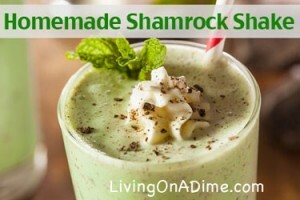 Homemade Shamrock Shake – Shamrock Shakes are always popular this time of year, and how fun would it be make your own at home! 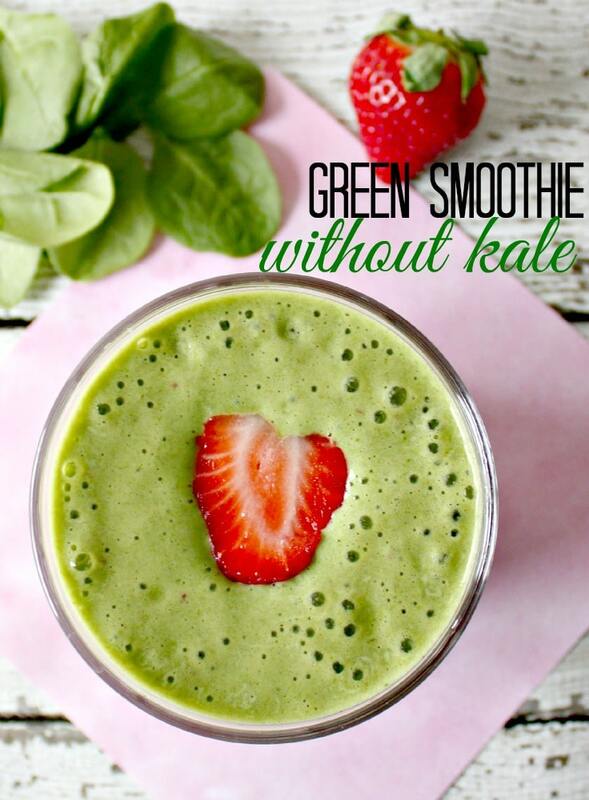 Active Winter Smoothie without Kale – This tasty smoothie uses spinach with a banana and strawberries for a delicious winter treat. Lime Sherbert Floats – This is a simple two ingredient recipe perfect for a St. Patrick’s Day dessert. 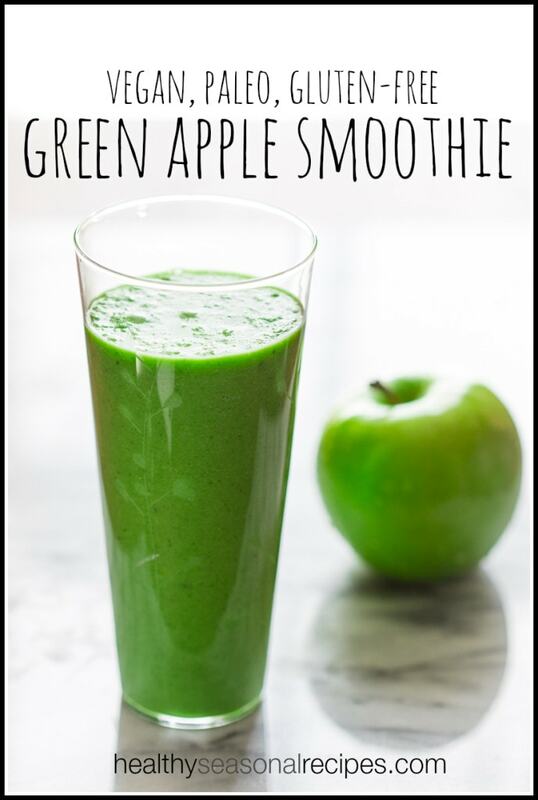 Green Apple Smoothie – This smoothie combines green apples with kale, and it is a gorgeous color too. 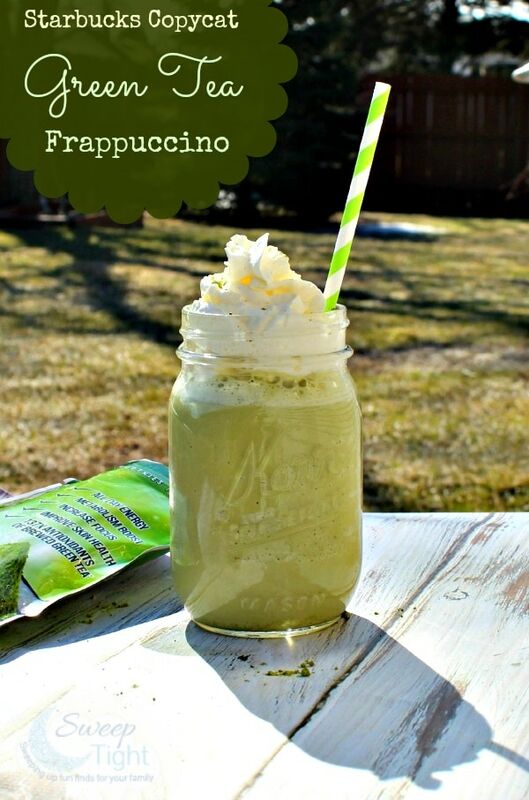 Starbucks Copycat Green Tea Frappuccino – Here is another copycat drink, a delicious Frappuccino for tea lovers. 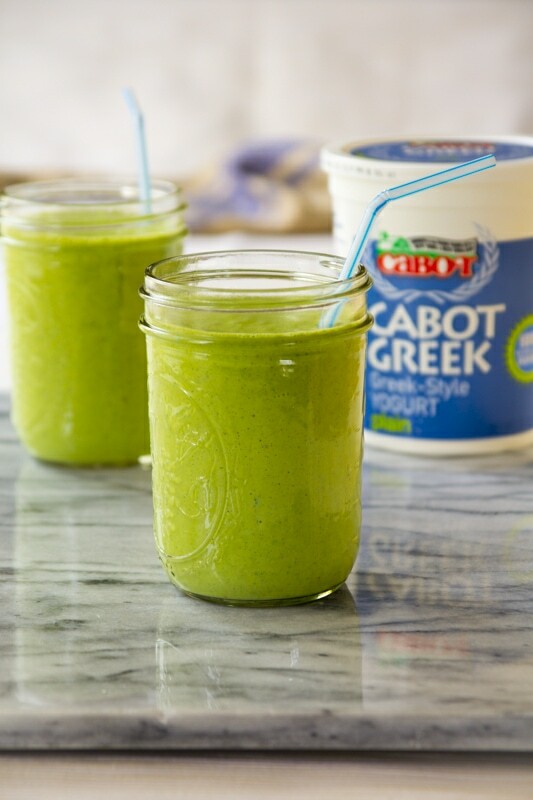 Green Mountain Smoothie – This delicious beverage is made with yogurt, kale and fruit, and makes a creamy drink. 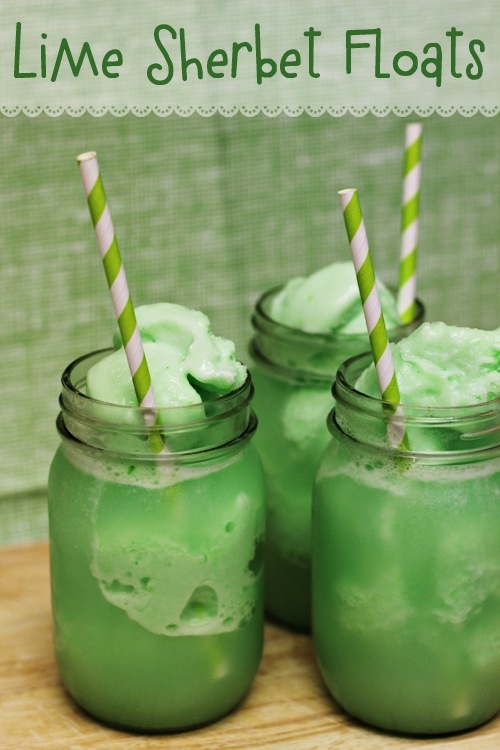 Leprechaun Shakes – These easy shakes are perfect for try to lure an elusive leprechaun into a trap! Which beverage sounds best to you? The lime sherbet float sounds amazing! I want to try these with my daughter- she LOVES making smoothies. 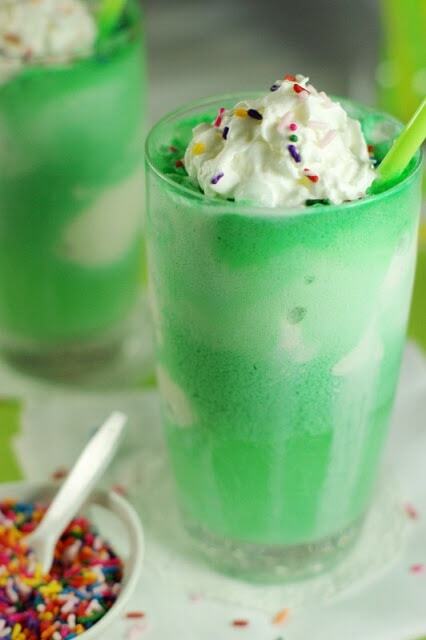 My favorite green beverage has always been the lime sherbet float! It’s addictive! Thank you for sharing with us and our readers at Merry Monday! We hope to see you at the next party too! Fun round-up! The St Pat’s day Punch sounds really good right now. What a great selection! Thank you so much for including mine!